A series of updates were released today in several countries to add support for Samsung’s security suite, Knox. 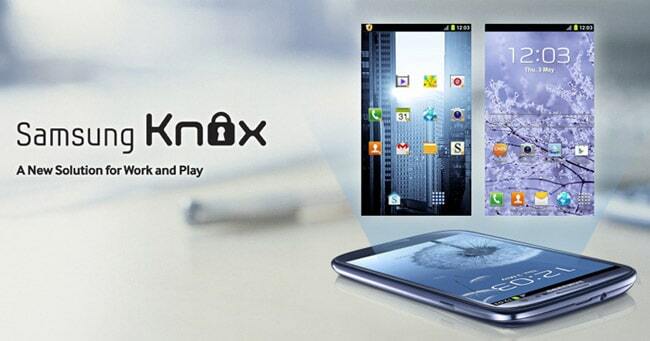 Knox is a security solution from Samsung that addresses the need for privacy and security, especially when using the phone in business purposes. Basically, with Knox you can have both personal and business content on the same device without having to worry about security issues. By using it, people can easily switch from a personal device to a complete business device with a simple use of an app. With this service from Samsung it is said that almost all security gaps in Android are solved. This addresses mostly businesses but it is also available for anyone else. Basically Knox works like this: by pressing an icon, the user enters a security mode where any app used, data stored or anything else is completely safe from anyone in the exterior; that’s why it is called a ‘container’. Galaxy S4 was the first device to come with Samsung Knox, however the service wasn’t ready to use from the beginning. Recently Samsung started to issue updates that add the system files necessary for Knox to work properly. If you haven’t received an update in a while you should go ahead and check Samsung Kies. The update should also come as OTA, but you need to be patient until Samsung releases it for your country.